--- Care for the cats in our group home. --- Provide transportation to or from adoption shows. Our shows are on Saturdays from noon-3 p.m., and we ask drivers to commit to giving the "show cats" a ride at least once a month. --- Foster. We sometimes have cats who are unhappy in our group home and need another place to go. 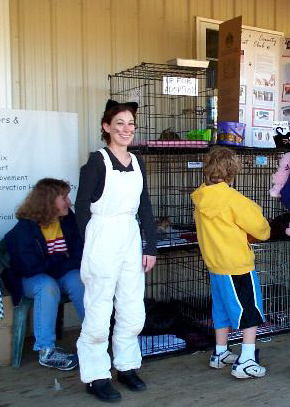 The Howard County Cat Club is a no-kill cat rescue. We believe that no cat is too old, too sick or too difficult to be adopted, so our cats never "run out of time."